Changes In Enrollment For Health Exchanges Could Benefit Insurers : Shots - Health News A rules change lets insurers and brokers sell health coverage on the federal exchange directly. That should be easier, but also raises questions about whether customers get unbiased information. Signing up for coverage on the health insurance marketplace should be easier for some people this fall because new federal rules will allow brokers and insurers to handle the entire enrollment process online, from soup to nuts. Some consumer advocates are concerned, though, that customers going this route won't get the comprehensive, impartial plan information they need to make the best decision due to the financial self-interest of insurers and brokers. "Facilitating the participation of brokers and getting web brokers involved is a good thing for the market," says Timothy Jost, an emeritus professor of health care law at Washington and Lee University School of Law in Virginia. But he says there are risks for consumers. "If you're enrolling with a web broker, you could see 'best deals' that often aren't the best deal for you but are the best deal for the people who are marketing them." 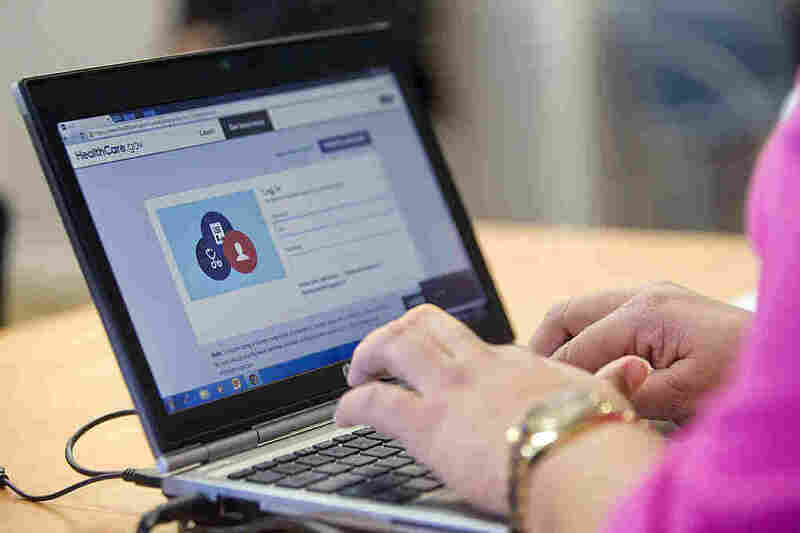 The guidance was released May 17 by the Centers for Medicare & Medicaid Services, which oversees the online marketplaces. It will streamline the enrollment process for people who work directly with an insurer or broker to shop for coverage for 2018 on healthcare.gov, the federal marketplace in more than 30 states. States that run their own marketplaces aren't affected by this change. The presumption is that people will continue to buy insurance through the marketplace this fall. In the past, people could start the online enrollment process with a broker or insurer, but then they had to bounce off the broker's or insurer's website to go to the federal marketplace website to see if they were eligible for premium tax credits, among other things. In theory, they then could return to the insurer or web broker to complete the enrollment process. In practice, many didn't — though they may have enrolled elsewhere, either completing the process on healthcare.gov or with another vendor. This fall, healthcare.gov consumers with straightforward enrollment needs will be able to complete the entire process on one website. Complex cases and those involving a special enrollment period, for example, will still have to go through the original multi-step process. The staff at online health insurance broker eHealth is thrilled with the change. "It's a big deal," says Nate Purpura, vice president of consumer affairs at eHealth. "Many people, including our CEO, have been to Washington, D.C., multiple times to explain the benefits of being able to help in this way." The eHealth website, which works with 180 insurance carriers nationwide, offers about 75 percent of the plans that are available on healthcare.gov, Purpura says. That's a problem, say some policy analysts. Federal rules require web brokers to display basic information about all the plans that are available on the federal marketplace, whether or not they actually sell them. It includes the name of the plan and insurer that offers it, the type of plan — HMO, PPO, EPO — and metal level (bronze, silver, gold or platinum.) Web brokers must also publish a disclaimer that says the website information about all the available marketplace plans might not be complete and provide a link to healthcare.gov. But the information web brokers present about plans they sell and get a commission for may be much more comprehensive than the information provided about plans they don't handle. On a broker's website, "consumers won't necessarily have the full range of options," says Elizabeth Hagan, associate director of coverage initiatives at Families USA, a consumer advocacy group. "On healthcare.gov, the plan display is the same for all the options, and consumers have the ability to sort plans based on what they want." CMS suggests that brokers not sort their plans in such a way that consumers could be steered to policies from which brokers receive a commission. It also suggests that brokers not run ads or information about other insurance products in the marketplace plan selection area. But these are suggestions, not requirements. In addition, some analysts are concerned that people who don't sign up through healthcare.gov won't receive important notifications about their coverage from insurers and web brokers. In the past, for example, some people have lost their coverage after enrolling outside healthcare.gov because they weren't directed to make their initial "binder" payment, or first month's premium, says Sarah Lueck, a senior policy analyst at the Center on Budget and Policy Priorities, which has filed comments on proposed enrollment rules. Enrollment this fall will run for just six weeks, from Nov. 1 to Dec. 15, a significantly shorter time period than in previous years. Encouraging brokers and insurers to sign people up may help more people get signed up in that time frame. "This is another important step to help create stability in the health insurance market," CMS Administrator Seema Verma said in the press release announcing the new process. But some analysts remain concerned that details about how consumers' privacy and security will be protected under the new system are still too vague. "This is really sensitive information, people's tax information, which needs to be highly protected," says Jost. "There are a lot of concerns with confidentiality and privacy. I have some concerns about fraud."